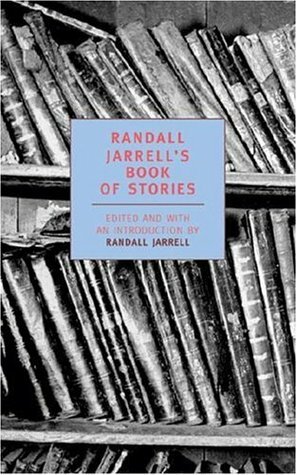 Tournament of Short Stories: Randall Jerrell’s Book of Stories vs. 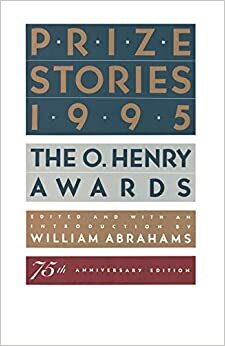 The O. Henry Awards 1995. Sometimes, it’s just not fair. So far they are. I read two for this round: “The Women Come and Go” by Cornelia Nixon and “Talking to Charlie” by John J. Clayton. Both were good stories. Both are about trying to find connections with people–trying and failing, then trying and succeeding a bit. Both very modern in their “feel”. But when compared to the two I read from Randall Jarrell’s Book of Stories, well….it’s just not fair. Randall Jarrell–poet, essayist, critic, poet laureate before it was even called poet laureate–assembled his book of stories in 1958 as a way to illustrate his own theories about what makes a story. I read many of the stories in his book back when I bought it several years ago but have had the last third sitting on my shelves unread for some time now. I remembered them as being kind of odd overall, good, but odd. For this round I read “A Tale of the Calvary” by Hugo Hofmannsthal and William Blake’s “The Mental Traveller.” Both were memorable pieces of writing, something the O. Henry Award stories were not. But, again, Mr. Jarrell had centuries to pull his selections from, millenia, really, since he includes a few tales from the Old Testament and ancient China. While I can’t say that I gained much from the story in Mr. Hofmannsthal’s piece, the writing describing the battle scenes and the ruin left behind was very moving stuff. Hugo Hofmannsthal may be some one I should check out. He strikes me as perfect reading for Amateur Reader over at Wuthering Expectations. Who among us can ever hope to compete with that? But I have to give this round to Randell Jarrell’s Book of Stories. I’m looking forward to reading more. D.H. Lawrence and Leo Tolstoy will be the two I read when this book comes up in round two of my Tournament of Short Stories. I know what you mean by “not fair,” since that is practically how I organize most of my reading. When I do read a contemporary novel, I try not to spend too much time wondering why it is not as good as Tolstoy or Shakespeare or Homer. I knew this was someone you would have read. I think there is a very strong case to be made for only read dead writers. Once in a while I do come upon a new book that I think can stand up to Tolstoy or Homer, but never Shakespeare.